ChannelPro-SMB, the premier source of IT and business insights for SMB solution providers, gathered channel experts, top vendors, and IT solution providers on November 1 and 2 in Iselin, N.J., to discuss business strategies that can be implemented immediately to get channel partners on the quickest road to business success. 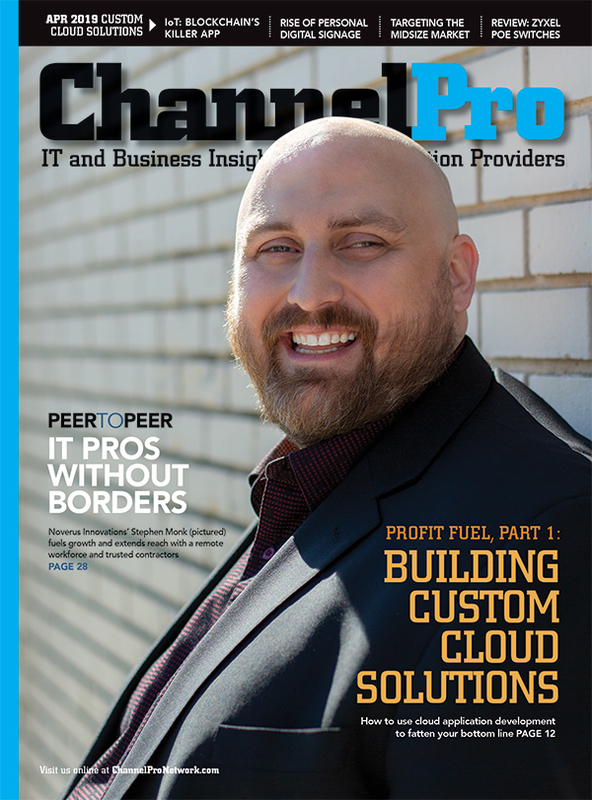 It is ChannelPro-SMB’s fourth and final event in this calendar year. The event got underway on Wednesday, Nov. 1, with a half-day workshop by SolarWinds MSP on key industry trends and highlights of the company’s on-premises and cloud-based solutions, followed by a welcome cocktail reception for vendors, speakers, and attendees. 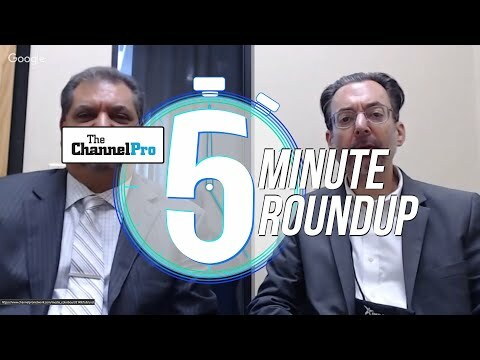 Profiting from Channel Convergence, on the convergence of the IT, telco, and print channels and how it can help attendees grow their businesses. Valuation-Boosting Business Management Secrets, in which experienced M&A consultants explained how businesses are valuated and the steps to take now to maximize your selling price when you’re ready to cash out. Everything You’ve Always Wanted to Know about Customers … but Were Afraid to Ask, which delved into what clients really think of their IT providers’ advice and sales presentation skills and what can be done to gain more of their trust—and business. Specializing in Security, an exploration of the risks and rewards of creating a specialized security practice and tips on the technologies to employ. And a unique hardware-oriented game show that enabled attendees to showcase their knowledge of the current and near-future hardware market. At the sponsor showcase, attendees discussed the latest solutions for their SMB clients with leading vendors as well as networked with their peers. The 20, the event’s Premier Gold sponsor, presented the morning keynote. Gold sponsors for the event were Avast Business, Carbonite Inc., Cytracom LLC, Data Deposit Box Inc., Datto Inc., Eaton Corp., ID Agent, SolarWinds MSP, SYNNEX Corp., and Webroot Inc.
Silver sponsors included Autotask Corp., The ASCII Group, Axis Communications, Buffalo Americas Inc., CARVIR, Core 3 Technologies, Choice CyberSecurity, CrushBank, eDist Business, Egenera Inc., ELO Digital Office USA, Excel Micro, Equal Optics, Manuel Palachuk International, Marketopia, Mindmatrix, net2phone Inc., Ninja MSP, Ooma Inc., PC Matic Pro, RapidFire Tools Inc., Secure Infrastructure & Services, Secure Now!, SherWeb, Small Biz Thoughts, SMB Nation, SMB TechFest, SPC International Online Inc., Tech Data Corp., Technology Marketing Toolkit, Vertical Axion, Vijilan, and VIPRE. Interested parties should register immediately at http://www.ChannelProForum.com. Interested sponsors should contact Joel Zaidspiner at 561-422-5119 or Lisa Sherman at 917-388-9531. 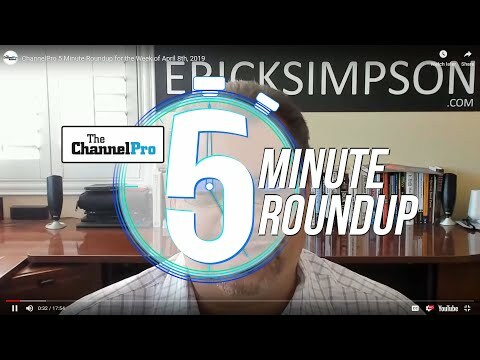 More sponsorship info can be found at: http://ChannelProForum.com/sponsors/how-to-sponsor.